Here’s a secret about me: I tell people that I don’t like chocolate, but I’m lying. I actually love chocolate. BUT, I only really like it in small doses. To me it’s always best as an accent. If you ever see chocolate-filled chocolate cakes covered in chocolate on Macheesmo, you know that either someone has hijacked my blog or someone twisted my arm into baking for them. Mocha brownies, I think, are the most chocolate packed thing I’ve ever made and I immediately gave them all away. I did love those though because they had coffee icing which was amazing. I’m getting off topic though. The focus of this recipe is actually not the chocolate. The chocolate is just an accent in what is actually a delicious and very easy cornbread recipe. Let’s get to it! 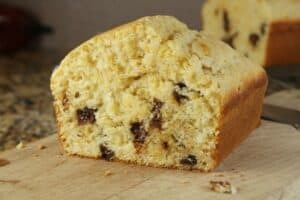 A cornbread loaf with chocolate chips baked in. Perfect with tall cup of coffee! 1) Combine dry ingredients in a large bowl. 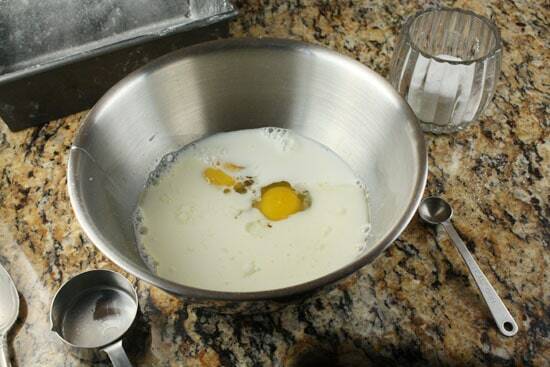 2) Combine wet ingredients in a different bowl. 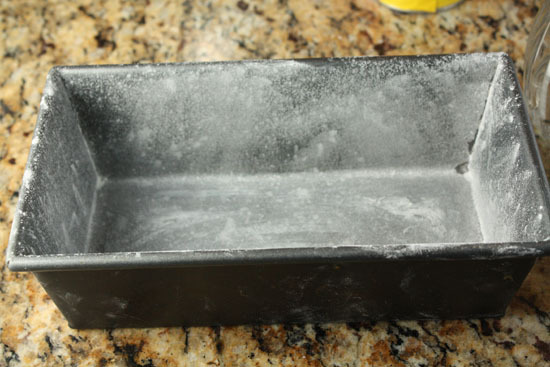 3) Lightly butter a 9 inch loaf pan and dust with flour. 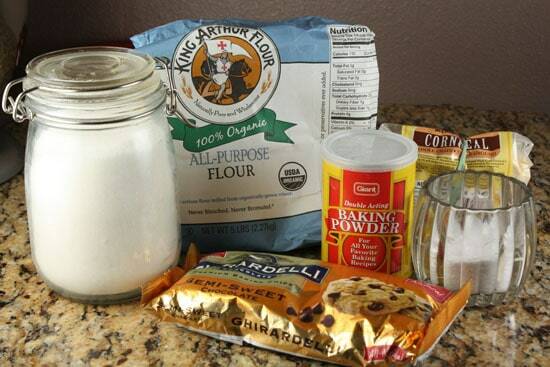 4) Stir wet ingredients into dry ingredients and mix well until combined. 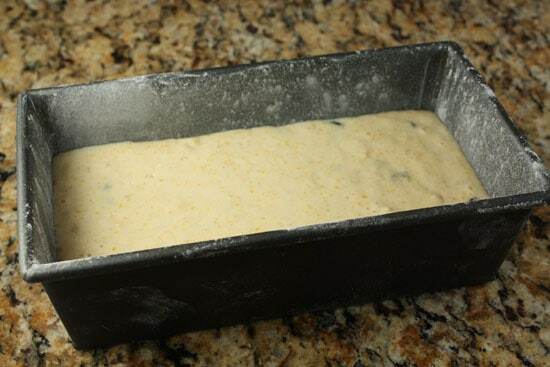 5) Pour mixture into pan and bake at 375 degrees for 35 minutes or until a tester comes out clean. 6) Let cool for a few minutes, then slide the loaf out and let it cool on a rack for 5 minutes before cutting into it. This is one of those very simple batters that I feel like some company might sell as a pre-packaged mix. But seriously, don’t buy the mix people. It’s really easy to make. You just need a few bowls and this stuff. Add all the dry stuff in one bowl and stir it together to combine. You could up the chocolate a bit if you wanted. This is the hardest part of the whole recipe. 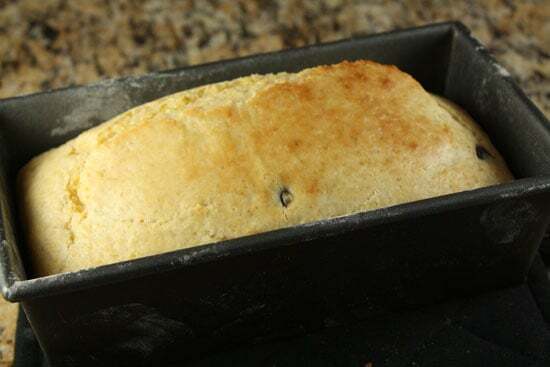 To make sure you can actually remove the cornbread from your pan, rub a tiny bit of butter all over the inside of it and then dust it lightly with flour. The original recipe calls for using nonstick spray which you can do. I prefer this method though. It’s old school but I think it works better. Next, stir your wet stuff into your dry stuff. No need to mix it intensely, just combine it all. You want to make sure your pan and oven are ready before you do this because you want to get it in the oven as soon as possible once the wet and dry are combined. Pour it into your prepared pan! Bake this in a pre-heated oven at 375 degrees for about 35 minutes or until a tester comes out clean. It should be golden brown on top and slightly puffed. After it cools for a minute or two you should be able to slide it out of the pan and move it to a rack to cool completely. If you don’t have a rack, that’s fine, still take it out of the pan though. After it cools for a few more minutes slice it up and eat it as soon as possible! It’s best when it’s still a bit warm and the chocolate is still kind of melted. Once it’s cooled, wrap it or cover it with plastic wrap and it’ll keep for a few days without a problem. Like it’ll last that long. 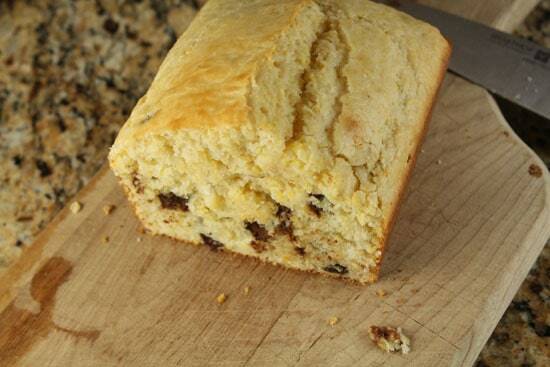 If you’re a cornbread fan this is a really nice twist on the traditional. It’s moist and a bit sweet and just plain good. Whoa! We just had cornbread with supper and my hubby was complaining that we don't have cornbread near enough….this might be just the right surprise for him! :-) Thanks! Would have never thought of it myself, but I'm sure it's amazing. What's not to love? I have to admit, this just sounded odd to me at first. But…. the more I think about it, the more I think I may just try it the next time I make cornbread. 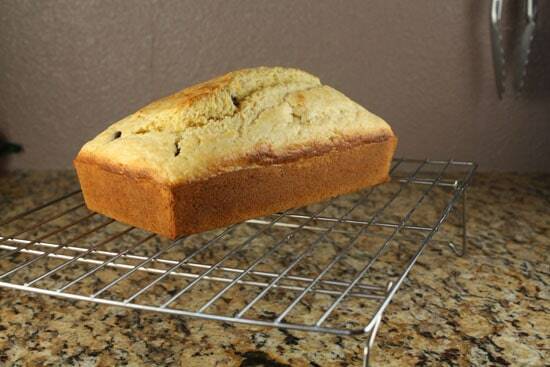 I like sweet cornbread, so this isn't so far out of the ordinary if I really think about it…… I'm going to try it! Thank you. 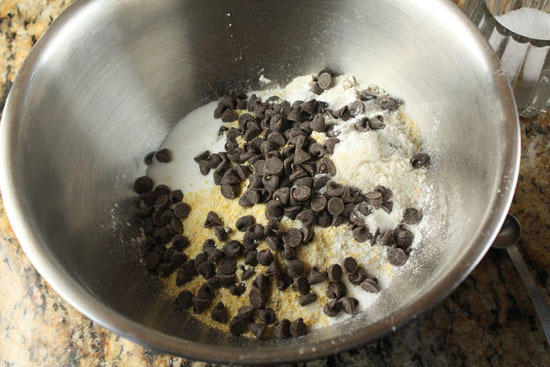 Have you ever tried chocolate chunk cornmeal cookies? This reminds me of that. Hot dam I may have to drop everything and make this. I just bought more cornmeal yesterday! It is fate. I had a box of jiffy cornbread mix and half cup chocolate chips mixed together and baked. I love the two together absolutely mouth watering. Thanks for that idea.